Chipper Mini 2 builds on the enormous success of BBPOS's original Chipper, with cutting edge technology innovations that offer a portfolio of new benefits to clients, including greatly reduced cost of ownership, optimized security and convenience, and best-in-class reliability. Chipper Mini 2 debuts this month, just in time to satisfy critical demand in the United States for proven EMV platforms and solutions. 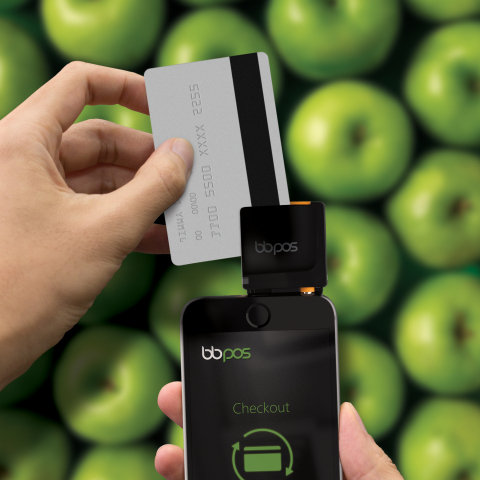 HONG KONG--(BUSINESS WIRE)--BBPOS, the global mobile point-of-sale (mPOS) innovation and solutions leader, will debut Chipper Mini 2 this month, its newest and most sophisticated ultra-compact MSR and EMV chip reading device. Chipper Mini 2 offers a unique portfolio of advantages to merchant, retail, hospitality and all clients who require a mobile POS solution that is effective, safe, reliable and cost efficient. Chipper Mini 2 clients will enjoy reduced cost of ownership, enhanced security features that protect both ends of the transaction, optimized convenience and reliability that is second to none. Chipper Mini 2 is ultra-compact and lightweight, with an amazingly efficient design that offers extreme functionality. Ease of use is essential to satisfaction and the Chipper Mini 2 is designed to reduce complexity. Precision design and high quality manufacturing ensure durability and maximum convenience. Chipper Mini 2 complies with EMV Level 1 & Level 2 requirements, allowing it to process EMV card (also Chip card) in addition to magnetic stripe card. An SDK is available to support easy integration into mobile payment application and development with iOS, Android, Windows Phone and MS Windows. EMV migration is currently underway in the United States, with the transition accelerating as benefits become more widely known. Embedded microchips offer better security, alongside improved flexibility and functionality. The demand for combination MSR/EMV chip reading devices is peaking as the transitional midpoint nears. BBPOS is a preferred supplier of end-to-end mobile point of sale solutions to markets around the world and previous products, including Chipper, Chipper Mini and the WisePad, have earned BBPOS a reputation for innovation and best-in-class performance. Pricing and availability for Chipper Mini 2 will be announced soon. To know more about Chipper™ Mini 2, please visit here.